Internet Marketing For Contractors. 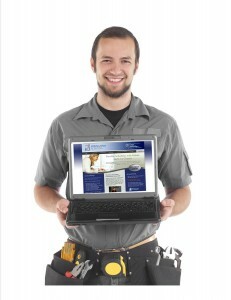 Lead Logic offers comprehensive internet marketing solutions specifically for contractor businesses. Our inbound marketing and lead generation programs can dramatically increase revenue but also reduce cost per lead. If you are looking for solutions to help increase your company’s reach and revenue while reducing marketing costs, we can help. Lead Logic helps contracting companies that have $1-$5 million in revenue transform their online presence in a dynamic sales generating operation. We develop and execute custom marketing plans with measurable goals. Lead Logic can help your business increase sales by creating and maintaining an inbound marketing channel that produces leads. We build reliable new revenue streams and work hard on improving reach and conversions for your business.